It’s a common situation I’m sure we’ve all found ourselves in at one time or another. You’re ridin’ the range on your trusty horse, when suddenly a grizzly bear rises up behind a rock, all lethal claws and fangs. Your horse, startled, rears up in alarm. 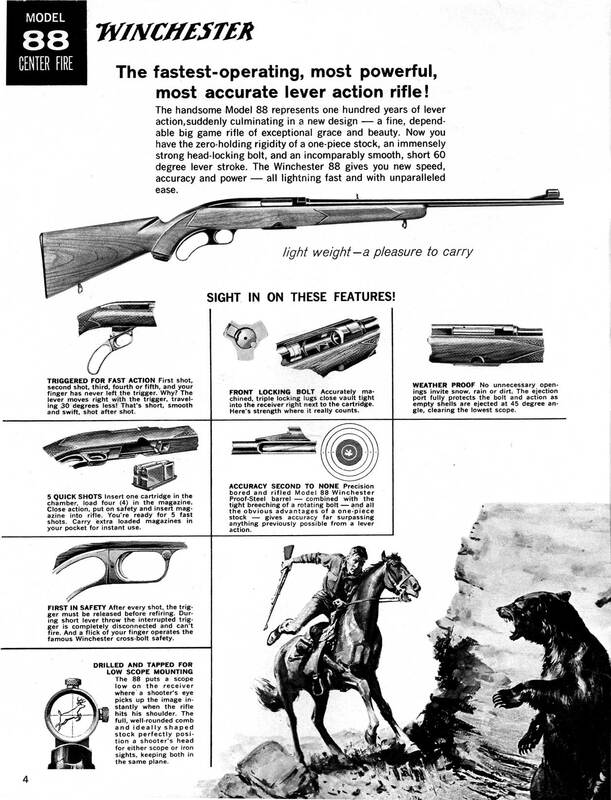 At such moments, isn’t it nice to know you have your fast-operating lever-action Winchester 88 rifle with you? 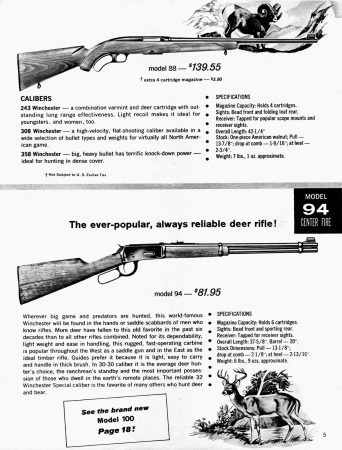 We seem to be living the adult edition of Ralphie and his wish for a Red Ryder BB gun in “A Christmas Story.” This Winchester catalog from 1960 is all about the Winchester legacy, well matched to a moment when guns were highly visible — in Western movies and TV shows (in fact the movie “Winchester ’73” with Jimmy Stewart had been released a few years earlier.) 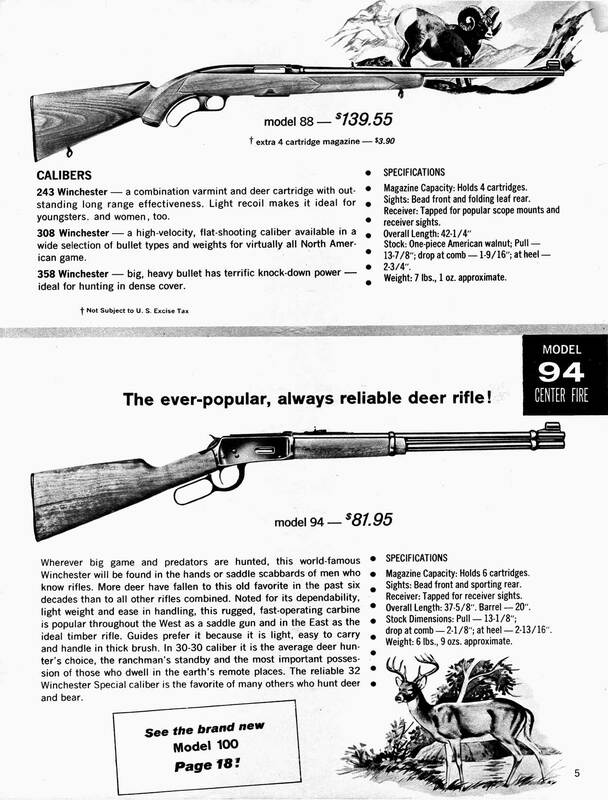 The catalog describes guns for hunting – only hunting. 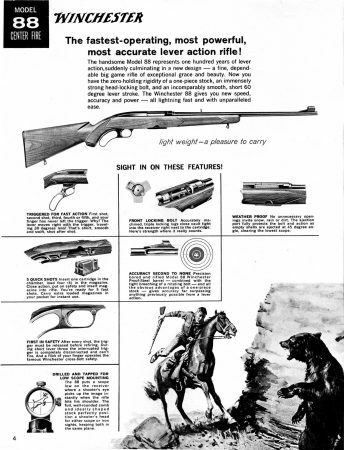 Nothing in here more alarming than protecting yourself from varmints of the four legged variety and shooting the occasional clay pigeon. And the only bad guys were bears.